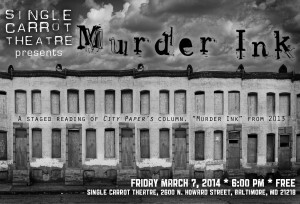 City Paper’s Murder Ink column. or by witnessing. Afterward, we’ll host a brief discussion. read Baynard Woods’ Op-ed piece in today’s New York Times HERE.